It feels like forever since my food blogging days; always coming up with new recipes, testing, taking photos, creating. Nowadays my cooking is pretty limited and my mother-in-law is incredibly helpful creating beautiful Japanese meals for my husband and our daughter. So I mostly cook for myself (vegetarian meals) and on weekends often bake something as well. Here are a few of my favourite recipes, revisited. You can view the whole recipe index here. Rich Mineral Salad - amazing with buckwheat, papaya, spinach and fresh herbs. 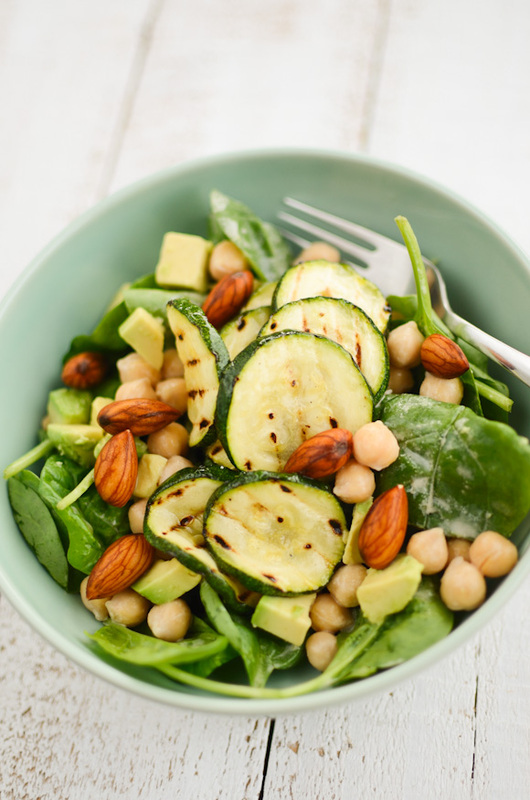 This salad is packed with flavour! Skin Beauty Salad - full of good oils essential for your skin. I love how simple, yet nutritious this salad is. 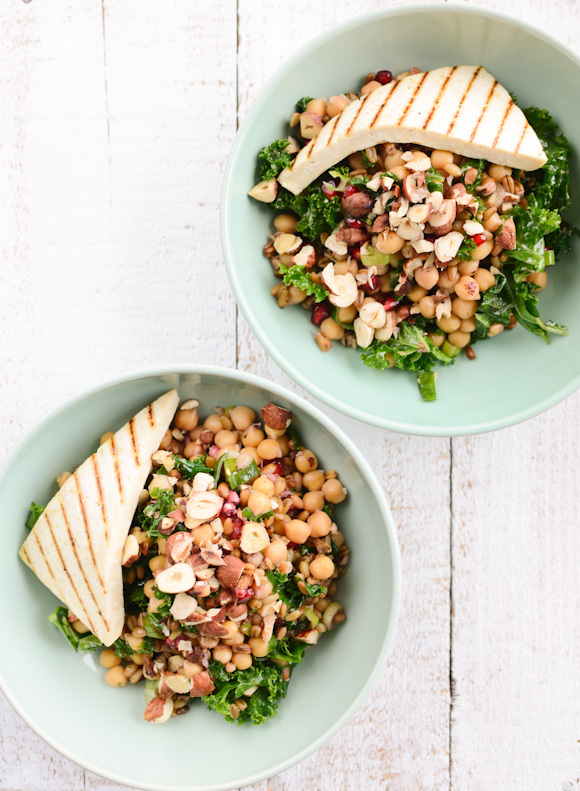 Greenlicious Kale Salad - who doesn't love kale? Enough said, this salad is definitely in my top 5 of all time. The simple tahini dressing is to die for. Earth Bowl - full or protein to keep you full for longer and I love the addition of pomegranate. Perfect for summer or winter! Cauliflower curry - I'm normally not a curry-girl, but this is not too oily and it's super fresh. Red lentil and sweet potato soup - a staple dish I make most weeks, especially in the cooler months. Another lentil dish! Roasted cauliflower with lentils - perfect hearty meal for winter, I love this one. 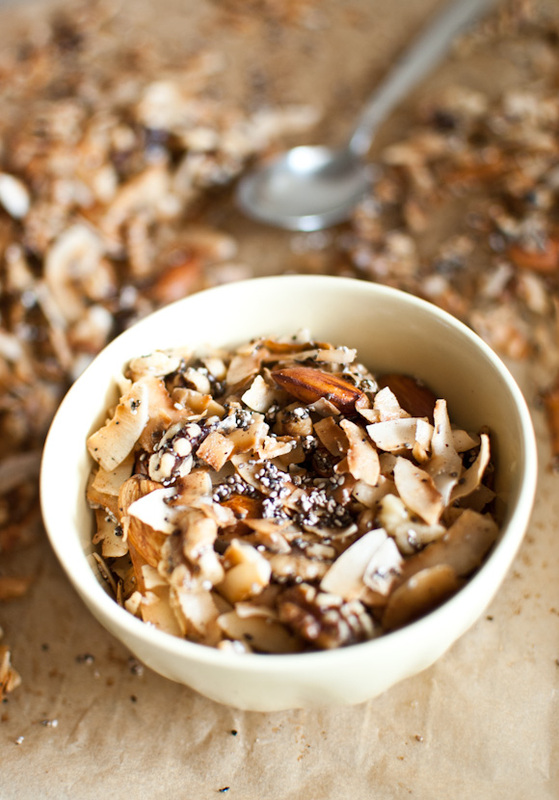 The sugar-free coconut granola with almond milk makes a delicious breakfast. And for a quick snack, these coconut balls are so so addictive. These are also so good to bring along for long trips, as they're packed with energy. One of my recent favourites has been this banana bread. Works every time without a fail! Spring is in full swing here in Sydney and we've had some beautiful, warm days. I cannot help, but crave for lighter meals like fresh salads and green smoothies. There are lots of fresh seasonal fruit available as well, making every meal a colourful feast!